It's that time of the year again! 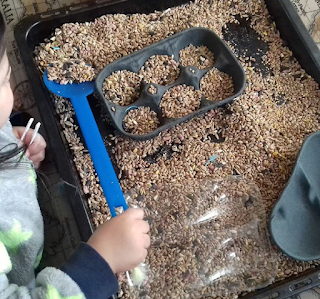 Time to get messy and make lots of birdfeeders to hang up for all your little garden visitors! and it's also time to start preparing for the Big Garden Birdwatch in January! Every year we take part in the Big Garden Birdwatch for the RSPB. We turn it into a bit of a project by planning themed activities such as making chocolate bird nests, identifying birds and using the information they gather to draw and colour graphs. How can children take part in the Winter Mini Challenge? 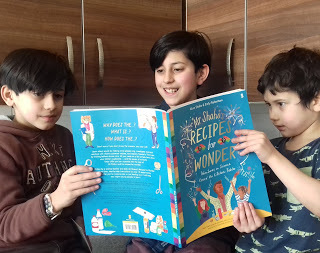 To take part, children simply read three books of their choice over the winter holidays, then add each book to their Winter Reading Challenge website profile and leave a short book review. Rating and reviewing three books online over the winter holidays will unlock a virtual badge and a special There's A Yeti In The Playground certificate to print off and keep. The Winter Mini Challenge starts on Saturday 1 December 2018 and finishes on Friday 11 January 2019. Books added to the website during this period will count towards unlocking the Mini Challenge rewards. For more info please visit the Reading Agency here. Get your free Winter Mini Challenge resources bundle here. 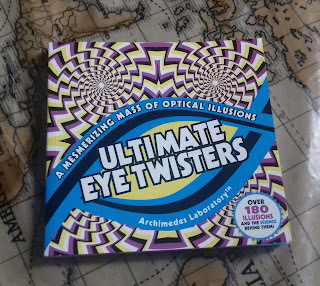 This new book, Ultimate Eye Twisters, published by Carlton Books, has been entertaining the kiddies this week whilst they've been feeling unwell with colds. It's packed with over 180 illusions which have been boggling their minds! I have walked into the room to find DS12 staring at dots and seeing things that don't appear at first. It's all a bit bizarre but to these crazy guys, it's just a really cool book to look through, especially when they don't feel like doing much else. Our Top Ten Educational Books 2018! Do you take your classroom outdoors? Do you attend a Forest School? If you're looking for a book about outdoor skills and play for children, then this is the perfect book for you! 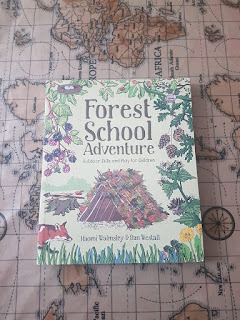 This chunky book is printed on thick, high quality FSC paper which can easily be picked up and taken out and about as you and your children explore the great outdoors on your wild, muddy adventure. Check out the full review and author interview here. 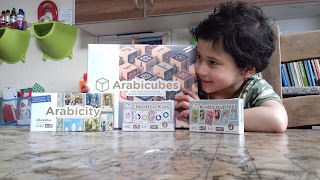 Our Top Ten Educational Subscriptions 2018! HE Discount too! 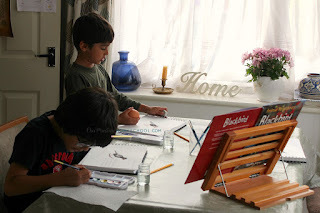 1) LetterBox Lab - Home Ed Discount available! 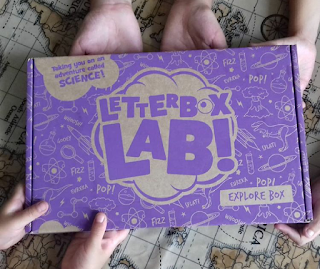 We think Letterbox Lab is a great resource to have each month providing fantastic experiments for all budding scientists to carry out over a number of days or even a week and the best thing is that they have great discounts for Home Ed families! Check out the full review here. Turn your bath into jelly and back again! 'Gelli Baff turns water into colourful goo and back again - providing you with 100% safe bath time fun. I recently reviewed some slime products for Zimpli Kids here and the kiddies had a whale of a time! Quite literally! They turned the bath blue and added all their sea creatures for an underwater adventure. Today I thought I would share some more pics with you all. 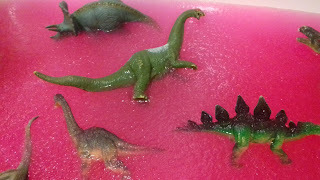 DD4 enjoyed using the pink GelliBaff and added her dinosaurs. The whole bath turned into a fun jelly playtime. The more water that is added, the more it turns into a gloopy jelly which DD4 loves the feeling of. 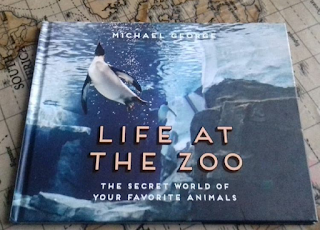 Life at the Zoo by Michael George is a fabulous, informative book for children allowing them a glimpse at the secret world of their favourite animals. The book is crammed full of colourful photographs and information which is set out in an easy to read style. With the weather wet and windy again and we are all feeling cold, it's the perfect weather to snuggle up in our cosy room with a book. Today the kiddies have taken some of their new books from our Winter book basket which sits near the fire. 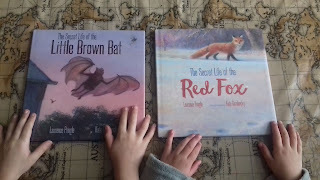 We are reading The Secret Life of the Red Fox and the Little Brown Bat. We heard that snowflakes have already started to fall over at Nana and Grandad's house the other week. The kiddies are hoping for another very white winter. They have their winter hats, scarves and gloves ready, and as soon as a few snowflakes start to fall, they will be out there! 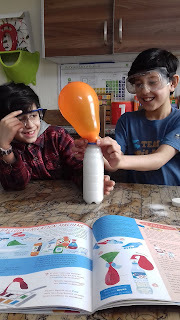 Last year they made an igloo, made a 'snow mountain' in the middle of the road to stop the cars coming past :) used bottles of spray paint to get creative and even used it for some Science Experiments such as making coloured ice balls with balloons to roll around in the snow. 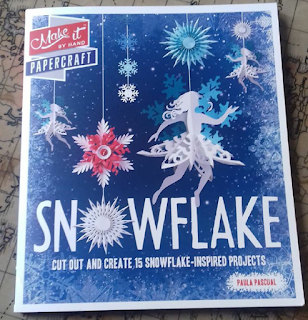 They also enjoy making ice lanterns and and decorative snowflakes, so this year we are trying out this lovely Snowflake-inspired craft book from Carlton Books. Check out our 'sneak peek' over on Instagram here.